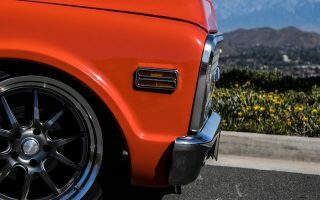 For many automotive companies, preparing for the annual SEMA Show in Las Vegas is a year-long job, with research and development, prototyping, testing, manufacturing and finally, debuting a product or concept after months of investment. For manufacturers like Chevrolet, the process is similar, although instead of one product or idea, it’s dozens, and instead of them being debuted to the public only at SEMA, Chevrolet cranks out innovative new products and vehicles on a regular basis. For them, instead of aiming for one industry show each year, they aim to impress the masses year round. Part of doing such takes the form of exhibitions, first drives and various Chevrolet performance experiences for press outlets at which Chevrolet invites photographers, editors and other credentialed media out to experience the latest performance products Chevrolet has come up with. 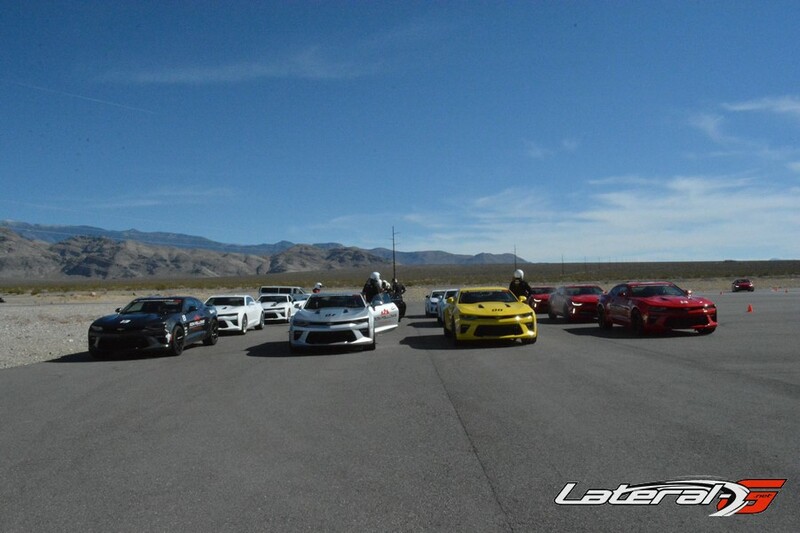 Chevrolet held their latest performance experience event in the days leading up to SEMA and we got you the inside line! The Chevrolet experience is pretty much like the bucket list-worthy event you’d expect it to be. Fly in, be chauffeured to an amazing motorsports establishment (in this case, Spring Mountain Motorsports Ranch in Pahrump, NV), have catered meals, be put up in the nicest of rooms, learn all about Chevrolet’s performance research and development programs, and to top it all off, be handed the keys to various Chevrolet vehicles to drive and formulate your own opinions about. 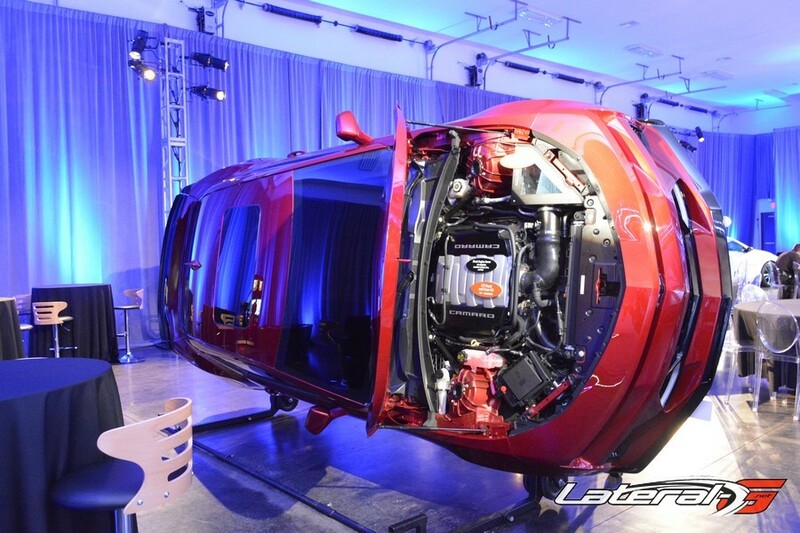 First up was the all-new Cruze Hatchback. With a pre-determined route to follow around Pahrump tucked in the seat-back pocket for us, we gladly accepted the keys to put the new family sedan to the test as a road-worthy cruiser. For that, it certainly lived up to its name. Now the new Cruze Hatchback is far from Chevrolet’s most performance-oriented offering, but for its designed purpose of carting around the family for everyday life, it does a fine job. With decent acceleration, a comfortable ride and surprisingly tight steering, the Cruze Hatchback offers even more space than the standard Chevy compact car with plenty of power for everyday wear. 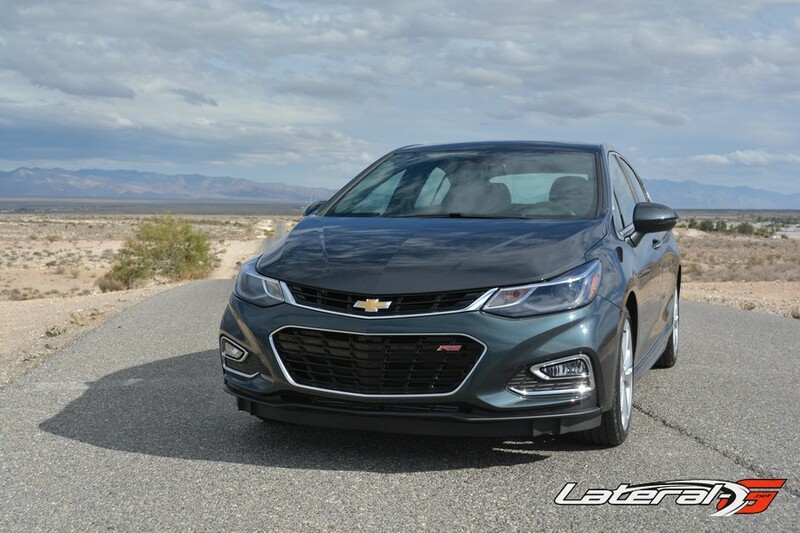 As a “tourist” in Pahrump, NV, the car was plenty plush and easy enough to drive that we found our short drive in the hatchback to be rather comfortable and easy– not a bad way to start off our experience with Chevrolet’s offerings. Day two of the Chevrolet experience proved to be even more fun behind the wheel of standard and modified Cruze offerings, as well as a smattering of new Camaros in all different varieties. 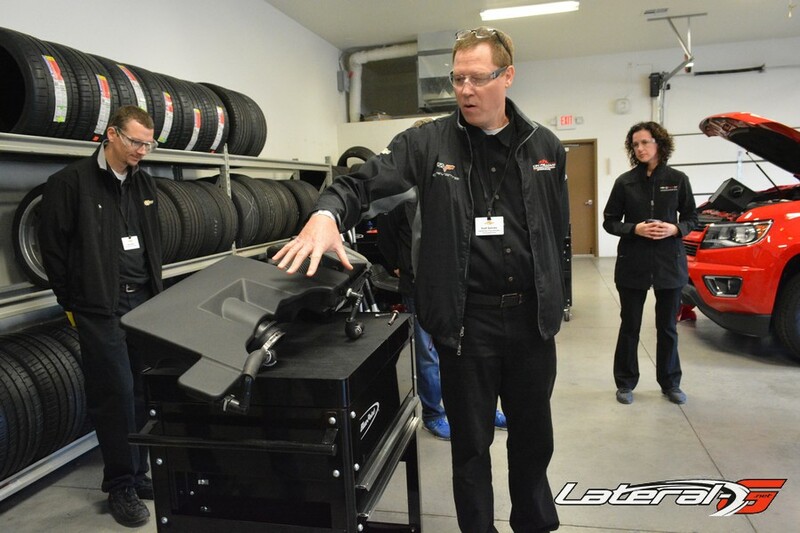 There was also the opportunity to help fit some of Chevrolet’s latest truck collection with new “plug and play” performance modifications. We started with the performance additions, learning just how quick and easy it is to modify and customize your new Chevrolet. With new accessories like a performance exhaust system that attaches in place of the stock system with just a couple of bolts and some strategically placed hangers (and no cutting! ), an air intake system that increases the airflow to the engine of your new vehicle significantly with a few quick snap fittings and screws, and appurtenances such as interlocking floor mats, the new illuminated Bowtie, and any choice of more than eight tonneau cover offerings (ranging from soft rolling tonneaus to hard lift-off tonneaus), it was easy to see just how custom you could make your new Chevy ride right off the bat. It’s true what they say– it’s all about attention to details–and Chevrolet definitely hit it out of the park on this one, not only giving their customers countless options for upgrades but also a noticeable advantage in fit, cohesion, and ease of use over aftermarket accessories. 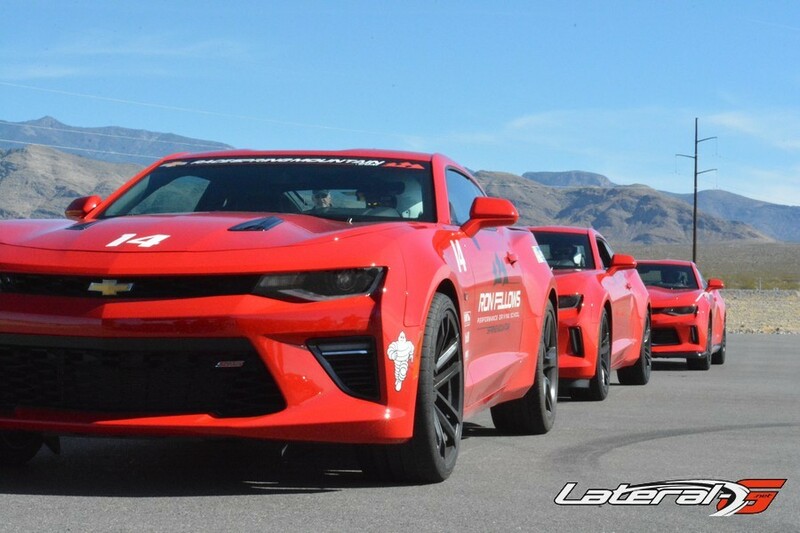 Our second round of activities on day two of the Chevy experience consisted of putting on a helmet and HANS device, and strapping in behind the wheel of eight different brand new 2017 Camaro models for some laps on Spring Mountain’s southern-most race course. You can imagine our excitement! 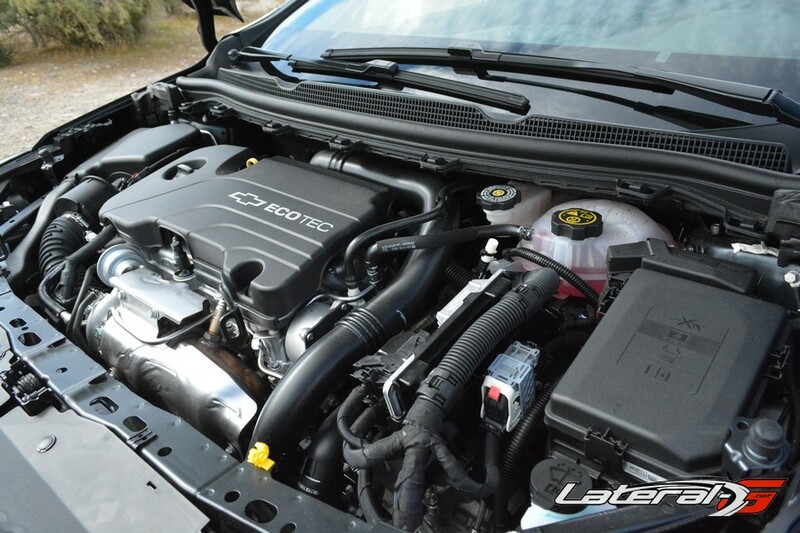 The idea behind this was to get a feel for what the base Camaro of anything from the 2LT LTG 2.0L turbo variety up through the 2SS LT1 6.2L V8 model had to offer, as well as what their significantly upgraded factory counterparts could deliver. 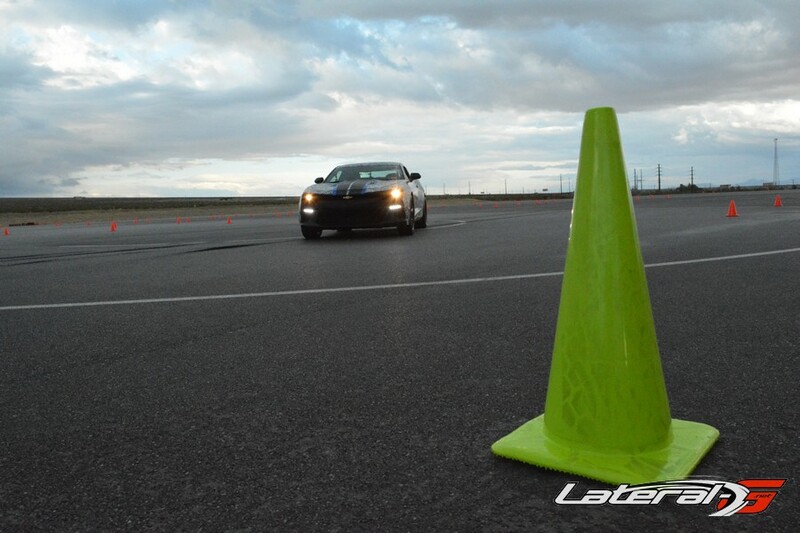 With two to three laps done in each car with follow-the-leader type guidance from professional driving instructors, each car was a new experience in Chevrolet performance. Now, let’s face it– there was quite a bit of skepticism and reluctance from the car world when Chevy announced their move to a 4-cylinder turbo Camaro. After all, muscle cars are supposed to be powered by a rumbling V8, right? Well, even the new 2.0L Camaro model is set up to impress, and that’s coming from one of the biggest believers in V8-powered muscle cars you’ll ever meet. Quick on the draw, the new 2.0L turbo Camaro is impressively responsive upon acceleration, save for a tiny bit of turbo lag. Though it doesn’t have the displacement of its larger-engined counterparts, the presumed baby of the new sixth-gen Camaro family has the acceleration capabilities to give its bigger sisters a run for their money. Moving up through the ranks, each Camaro model higher on the list increasingly impressed, topping out with highly-optioned 2SS LT1 6.2L V8 D1 models, one with the 6-speed manual transmission and one with the 8-speed automatic. Of course, we expected the higher-horsepower, highly-optioned Camaros to do what Camaros have done since their introduction back in 1967– give you lots of power and performance with a throaty exhaust note to back it up. But what really struck us as impressive was just how driver-friendly even the highest-optioned cars out there were. Quick-to-respond steering, acceleration on demand, no-lift shifting, active rev matching, and braking that didn’t feel like the car was going to overtake the driver and his three friends up ahead of him before it could slow the hefty 1 ½ to 2-ton car down adequately (this gal’s biggest complaint about her own forth-generation F-body), were just a few things we instantly noticed. All in all, there really is a 2017 Camaro out there for every type and experience of driver out there! 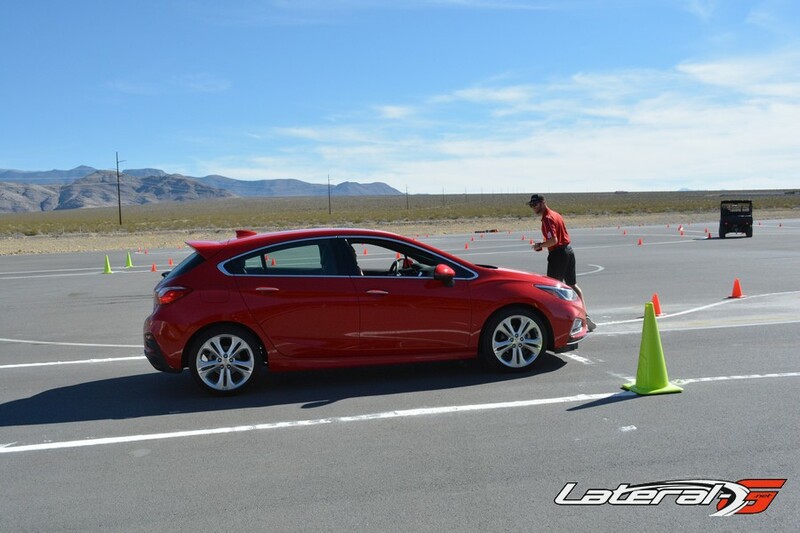 Last but certainly not least, our final round of activities on day two of the Chevy experience consisted of taking a base-model Cruze around an autocross course a few times before doing the same, only behind the wheel of a Cruze with suspension and intake upgrades. With just a few factory upgrades, the difference between the base model and the modified Cruze was significant. Not only was the car noticeably more peppy upon acceleration, it also showed immediate and tight steering response around hairpin turns and swooping slaloms. 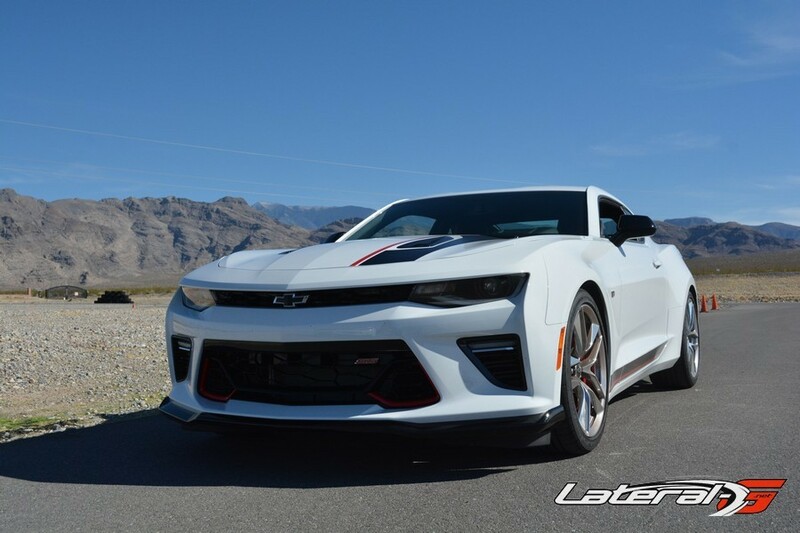 No, it’s not a Corvette, Camaro or even an SS Sedan, but there’s certainly something to be said for a family sedan that can be modified for some extra oomph and performance, so much so that taking on an autocross course and doing it well is just another check mark on its list of offerings. Our Chevrolet experience was certainly a bucket list event to write home about, but that’s not the point. We could sit here and discuss the perks of being invited to such an experience all day long, but when it comes down to it, it’s the products that Chevrolet continues to put out and allow its customers to have access to that really set the standard for such a great event. 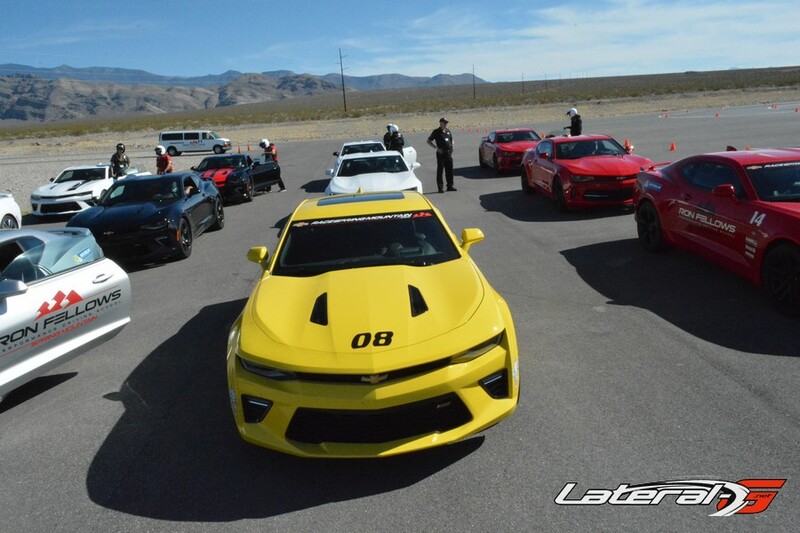 Without the first-rate vehicles, undeniable passion each Chevrolet personnel we met showed, and the high-quality, highly-tested performance products to back it up, this experience would have had far a different effect than it did.